It’s a time where there is incredible musical creativity flowing and once again i’ve been lucky enough to give you a heads up on something that’s going to be HUGE! 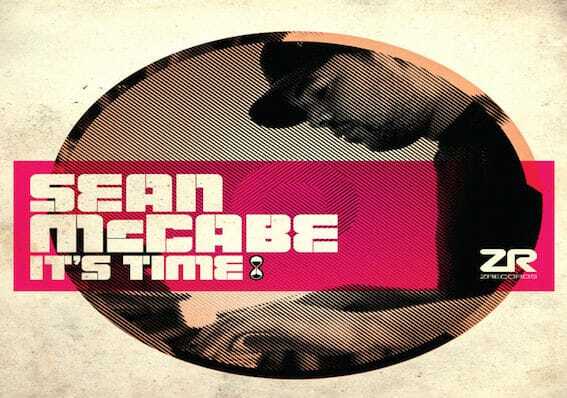 Sean McCabe came to my attention 5 years ago whilst he and i were billed to spin at the first SunceBeat festival (Croatia) Garden party. When he took to the decks he started letting off some SERIOUSLY soulful house music steam. The link had to be made. From that point he has become a friend and one of the most prolific and sort after producer / remixers of this current house generation notching up remix credits for Roy Ayers, Lynn Lockamy, Peven Everett & Byron Stingly. He alerted me to the fact he was releasing an album about a year ago and now “It’s Time”. It consists of beautifully constructed cuts with an impressive selection of vocal collaborators including Taliwa, Nathan Adams, Donaeo, Jennifer Wallace and Hanna Khemoh. My favourite cuts are “Something about You” ft Jennifer Wallace, “Reach Out” ft Hannah Khemoh and Back To Front with Nathan Adams. There are also two super chilled moments with the Hip Hop driven “All Of The Above” ft Big Ed finale and Sunday Lazin’ (too short in my opinion) Sean make me a longer version please!! It’s an absolute necessity for real music lovers!